Up until 3 weeks ago I was one tired mama. Cranky. Absentminded. Delirious. Overwhelmed. Prone to tears. I had a baby that was up multiple times a night and only catnapped for 15-30 minutes three times a day. After 8 1/2 months of no sleep, I was waving the white flag…something needed to be done. I had no idea that it was even possible for D to take long naps and sleep straight through the night, as I had read, and been told, that some babies just weren’t ‘great nappers’ and that catnapping sometimes happened. I didn’t think that anything could be done about D’s catnaps, and I thought that I just needed to night wean to take care of the broken nights (with no idea how to even go about it, mind you). After having no downtime in my daily routine, mixed with never hitting a good REM sleep at night, I was ready to try anything. Enter Jennifer from Gift of Sleep Consulting, whom I’ll now refer to as the Sleep Goddess (SG). We chatted briefly over the phone and I got an idea how this sleep consulting thing would work. I spoke with my husband a little later, and he had no trouble coming on board for a possible sleep solution – anything to try to alleviate that stress. I contacted SG and we made an appointment for an in-home consultation. In preparation for our appointment, SG asked that I complete a questionnaire about D’s sleep habits and routines. When we met for our consult, Jennifer spoke at length about the importance of sleep, healthy sleep patterns and the effects of unhealthy sleep patterns. She presented us with a sleep plan & schedule for D, based upon our questionnaire responses, and presented three possible options for attending to D while going through sleep training. Not huge fans of CIO, we opted for a modified Ferber method, going into the room every 10 minutes to calmly pat D and reassure him that we were there. We waited until the weekend to put the plan in action, anxious to know if the training would work. My husband took over night duty, and we were off. D was definitely ready for sleep training, as he went down without a problem and was able to self-soothe himself throughout the night. Being so used to waking throughout the night, my sleep was broken, but much better. The second night I got my first 8 hour night of sleep (in over a year). I don’t want to go into the minutiae of sleep training, but I will tell you that I was the main cause of D’s sleep problems. A huge part of our sleep plan with D was removing the association of breastfeeding with sleep. Again, I thought that this would pose a ton of problems during the night, but, three weeks later, we’ve still not had any issues of D refusing to fall asleep on his own throughout the night. I say that I was the biggest problem because I was on autopilot, automatically waking and going in to D’s room throughout the night when he made the slightest peep. I wasn’t giving him the time to work out the transition between sleep cycles on his own. Had I given him a few minutes, he would have done this on his own. He still wakes throughout the night, but he self-soothes himself back to sleep in under 10 minutes. Naps have been a little more touch-and-go, but for the most part, D has been taking 1-2 hour naps since the first week of sleep training. We’ve had an illness, a milestone, and 4 teeth coming in, and it seems to have affected D’s nap schedule, rather than his nighttime sleep. As I write this, D is entering his second hour of a nap; I never thought that it was possible for D to take decent naps. Hiring a sleep consultant was one of the best investments we’ve made as a family. Our ‘sleep anxiety’ is almost non-existent (I still get anxious when we travel and take D from his usual routine), and we’re all feeling happier and more rested. Having someone give us an actual plan meant that my husband and myself were consistent in our methods and on the same page with our approach — very important for D. We had a bedtime routine, it just needed to be tweaked. Three weeks in and D knows the drill. If your little one has sleep issues, no matter how big or small, I would highly recommend not waiting the 8 1/2 months we did — take care of those issues now, you’ll thank yourself later! 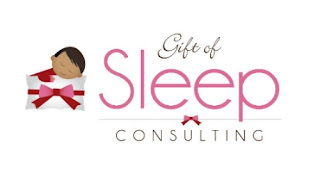 To help you get on the right track, Jennifer (Sleep Goddess) at Gift of Sleep Consulting is offering one lucky reader a $100 gift certificate towards her services (awesome, I know)! So, what are you waiting for? Get your sleep on! * I was not paid for this review, however, I was offered a discounted rate of services in exchange for my opinions. I am a mommy zombie right now. Except for the brain eating part, that is. I’m surrounded by baby sleep advice books, but the sad part is, I never have time to read them unless the baby is sleeping. And if that’s the case, then I’m usually desperately trying to catch a few winks myself. I can’t even imagine how I’d focus on the words with these bleary eyes. I’m sooo glad you were able to get D’s sleep habits working for both of you. Would LOVE to win this giveaway and join the land of the living! P.S. The photos of D are DARLING! Thanks 🙂 Totally gratuitous, but I couldn’t choose which ones I liked the most! Breastfeeding should be allowed on demand, day or night. Sleep training is definitely nothing that I would ever do with my child. She is 16 months old and still nurses on demand at night. I would not have it any other way. Everyone has a different opinion and philosophy of parenting. My son was not hungry during the night, he merely got used to using me as a pacifier to get himself back to sleep. Let me be clear – I would NEVER, EVER deny my child nourishment. If he needed to nurse during the night, I would gladly do it, however, that was not the case. I’m extremely grateful that I now have a baby that sleeps 12 1/2 hours a night and takes 1-2 hour naps during the day, so sleep training was an incredibly positive experience for us. My daughter’s 19 months and she fusses a lot through the night and always needs comforted back to sleep, so I spend a lot of time in her bed. There are some nights she sleeps all the way through, no problem, so we just need to figure out what the difference between those days are or get her to be able to go back to sleep on her own. Head over to Gift of Sleep Consulting on Facebook, Jennifer may be able to give you some suggestions to get you in the right direction! Every baby is different and every mommy has to listen to her gut. We totally did sleep training (not anything pro we just listened to our gut and our baby’s ques and worked out a way) with my 1st. She was a miserable little gal before we helped her learn to sleep on her own throughout the night! I had the same issue with my son, Breanne. We worked on nighttime sleep and then tackled naps; it’s the whole sleep begets sleep issue. It sounds as though your son just needs to master transitioning between sleep cycles. With naptimes, I let my son fuss for a few minutes before going in, and he almost always went back down without my help. It’s hard not to rush to their sides at the first cry, but waiting a few minutes proved to be what my son needed to figure out how to transition into the next sleep cycle. I wish you luck, I know how difficult it can be!